Blossom and Bloom Ginseng + Biotin Volumizing Conditioner is a dual-action conditioner that promotes immediate hair fullness enhancement and longer-term thickness results. 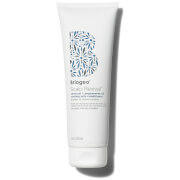 For the immediate term, the conditioner contains a unique ingredient, Maltodextrin (a natural sugar starch) to coat each strand of hair to increase its diameter and promote a fuller appearance without sticky or stiff after-effects. For long term benefits, the conditioner contains ginger to increase the blood flow to the scalp to support new follicle growth while biotin strengthens and encourages new hair growth. 1. 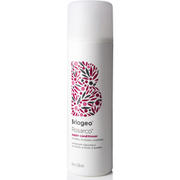 After shampooing, apply Blossom and Bloom starting from the ends and working your way up to the scalp. 2. Do not over condition, especially if you have fine hair. 3. Let the conditioner sit for 15 seconds and then thoroughly rinse.